Guilt is a fairly common experience for victims and survivors of domestic violence and persists through all stages of healing. Before you are able to escape from your abusive relationship, your abuser use s your anxiety as you try to improve the situation against you by telling you that his out of control behaviors are your fault. You try, but you can’t seem to do the relationship right based on how he continues to treat you. He keeps you there by blaming you for his behavior and finding something wrong with everything you do. When you believe him, you feel guilt. Guilt will keep you in this dangerous situation because if you believe the relationship problems are your fault, you are more likely to remain invested in trying to fix “your problems” by staying. Within the context of the abusive relationship, guilt is only one of the powerful feelings that a victim experiences. Among them are: fear, terror, anxiety, excitement, sexual passion, intense connection, confusion, hope and doubt. There are probably more feelings, based on individual situations, but my point here is this: with all of the emotions at play within the context of the abusive relationship, guilt often waits in the shadows. Guilt is a secret weapon reinforced in your thoughts by your abuser. Even things you feel bad about that happened before this relationship get tangled up in the current situation as your abuser points his finger toward everything that has hurt you in the past and everything that happens now and says that everything unfortunate you experience today is because of YOU. Guilt is bedfellows with fear of rejection, anxiety about being “good enough,” the desire to be loved and the belief that the you are responsible for ensuring the well-being of everyone around you. Even if that means you suffer. For victim and survivor, guilt is often pervasive. Unless focus is directed toward understanding it and uprooting it’s source, it will make itself a lifelong companion whether or not abuse remains an active part of the survivor’s life. During the phase of healing that takes place just after escaping the abusive relationship, guilt raises it’s head as the raging monster that it is. The problem is, that guilt doesn’t raise it’s head as a known foe. It hides behind messages of blame and misplaced responsibility so that you don’t recognize it. 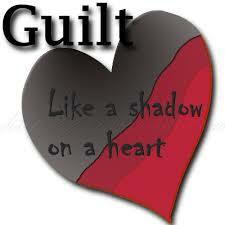 If it were to step out of the shadows, you could see guilt as it is and how to disarm it. Instead, the shadows cause you to continue to look for your own flaws and feel stuck in an unending cycle of trying to correct wrongs that aren’t yours to fix. 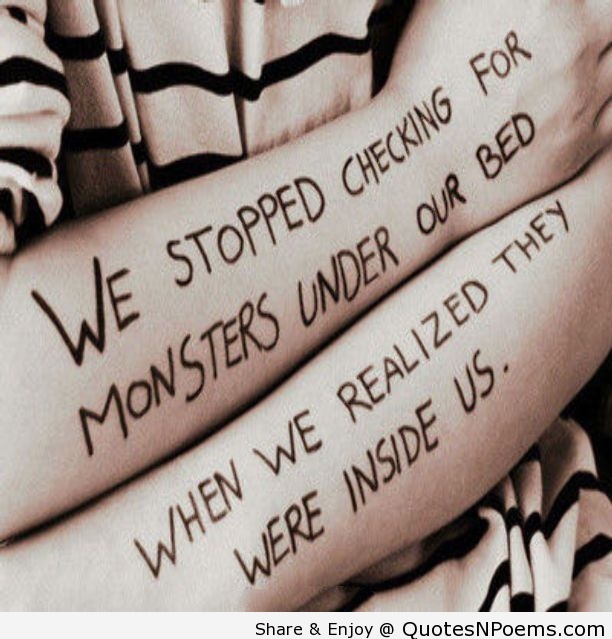 At his phase, your abuser uses the guilt monster, his established ally, to try to make you feel bad enough about your choice of escape to return. He and the monster have cooperated ahead of time to plant ideas in your head meant to undermine your successful escape. If you return, danger becomes part of you daily existence because you believe lies instead of recognizing the truth of your situation and beginning the process of rooting out the sources of guilt from your heart and mind. abuse. At this time, guilt has often become a lens that filters your perceptions of any relationship interaction that makes you feel uncomfortable. Specifically, saying “no” or allowing someone to go through something that you perceive as uncomfortable is likely to launch you into co-dependent action to try to alleviate your own discomfort about their discomfort. This action comes from fears for your own safety that continue to linger and . . . . you guessed it . . . . guilt. It’s time to recognize the guilt monster for what it is and take off those guilt-colored glasses. To hear Tamara discuss 3 strategies the guilt monster uses to get the best of you, click here. © Tamara Bess, LMFT 2015 All Rights Reserved. Any use of this article without Tamara’s express written permission is prohibited.